Since 1989 Ballard Doors has been a premier overhead garage door company offering residential and commercial garage door installation and repairs. From a complete line of residential garage doors, including custom wood, to a full line of commercial garage doors, Ballard Doors has what you need. We are the local authorized overhead garage door dealer for Clopay Doors, Rytec High Speed Doors, Cookson Door, and LiftMaster Automatic Garage Door Openers and Gate Operators. Ballard Doors is headquartered in the Hickory NC area and serves Morganton, Lenoir, Boone, Taylorsville, Statesville, Lake Norman, Mooresville, Denver NC & Lincolnton North Carolina. Residential Garage Doors from Clopay, plus custom wood garage doors designed and built to your exact specifications. “If you can dream it, Ballard Doors can build it”. We have a wide array of different wood materials and designs to choose from or we can work from your own design. As the local Authorized Dealer for the Clopay Corporation, we can offer you the beauty, durability and reliability of America’s Favorite Garage Doors™. Clopay® is North America’s leading garage door manufacturer, featuring a complete line of residential and commercial garage doors. Clopay is the only residential garage door brand backed by the Good Housekeeping Seal. Consider Clopay for a broad assortment of beautiful, energy efficient residential garage doors to fit your home style and your budget. Garage Door Visualizer is a Door Imagining Computer Design Program. See what different style garage doors look like on your house. Commercial doors and overhead garage doors include insulated and non-insulated sectional steel, aluminum and glass, rolling, security grilles, roll-up sheet, coiling steel doors, specialty doors, and custom engineered doors. Rytec High Speed Doors offers rolling, sliding, folding and insulated doors for Commercial, Industrial, Parking, Automotive, Coolers, and Freezers. The innovative high speed doors help save time and improve traffic flow to boost productivity, while saving energy by decreasing cooling and heating costs. Choose Rytec for your next project where a high speed door is a necessity. Professional Door Dealer (PDD) magazine awarded Rytec High Performance Doors “Best Green Products”. As the area’s Cookson Door distributor, we are able to provide a variety of commercial doors that include overhead garage doors, rolling doors, fire doors, rolling & sliding grilles, counter doors, Kontrol accordion doors, and Cycle-Master Rubber Doors. 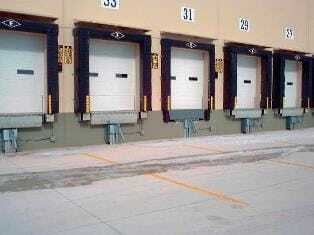 The Cookson Company is the leader in the rolling door industry and has set the industry standards for over 70 years.